Operate allows you to create different templates for all of the types of Reservation Cancellations/contracts you might be using within your organization. 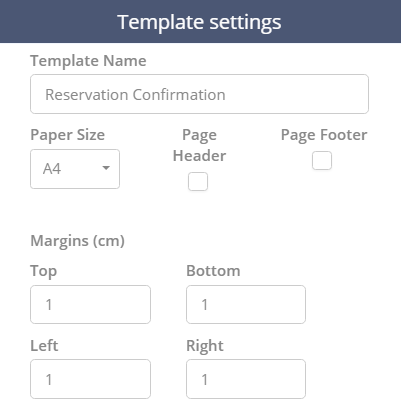 To get started, go to Settings > General > Templates > Reservation Confirmation Templates. Click Add Merge Fields to expand the options. Here is where you can add fields to your Reservation Cancellation. First, select a field category, then select a merge field. In our example, we are looking into the Locations category and we are adding a Site Name field. Now that the field is selected, all you need to do is click and drag it onto the Reservation Confirmation layout, wherever you want to place it. Please see the demonstration below.